There's a question I want to ask, that's about this vintage 2009 being exceptional according to many people. Didier says that it depends of the region, Burgundy for example had Phs that were way too high, with the risk of having at the end wines that are too weak, these wines may be very pleasant at their release but could melt away in 5 years from now. 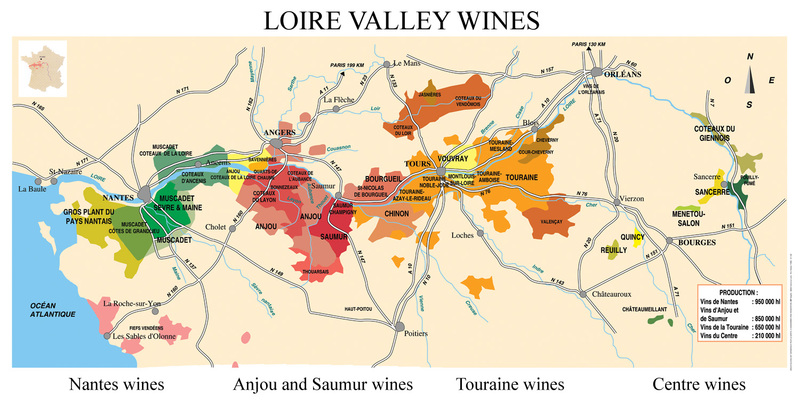 In the Loire Valley, the Phs have been more acidic in 2009, yielding wines with a very nice balance between acidity and alcohol, which is the key for good wines that last. __Clos Roche Blanche Sauvignon N°2 2009. Since they downsized the surface last year by renting half of their vineyards to Noëlla Morantin, there has been less Sauvignon as a result : this vat plus a smaller, 13-hectoliter, tronconic Grenier vat for the N°5 Sauvignon. This Sauvignon #2 that we taste now will be bottled this march, it is still a bit turbid but he will clear it with cold temperature. He will check for proteins too and if any, will take them down to the bottom with bentonite clay. There shouldn't be any filtration but if really needed he might make one. Nice fresh tangerine aromas, citrus too, lots of purity. Nice mouth, the wine is dry, the malo ferm is completed says Didier, there's 1 gram residual sugar which is nothing. He says that on the other hand, it's not far from 14° but it's not something that took my attention while swallowing it, no need to say that the balance is there. Yields were low at harvest, there has been a bit of hailstorm, the drought, juice yields were also themselves relatively low, and the indigenous yeasts have been doing a better job than usual at transforming the potential sugar. The wine has this great gras feel, this richness that makes it very enjoyable. Didier says that there's a bit less acidity compared to the 2008, the Ph is a bit higher. It is still a relatively long-keep wine. Its main gustative qualities are its purity and its droiture (straightness ?). This Sauvignon was vinified in stainless-steel vats and also for a small part in wooden vats. When he blended the whole in this steel vat on the picture above, the fermentations had finished (including malo). At the end of the fermentation process, he put the Sauvignon in the wide, milk-tank-looking vat that you can see below (and also on the last pic at the bottom). It's a double-skin temperature-controlled vat made by Serap Industries. This Sauvignon costs about 6,5 € at the winery for individual buyers (if any available). To rewind further, before this fermentation stage, the juice arrived in the cellar through meters-thick tuff rock from the press in its tin-metal barn at the top of the hill. Just by gravity (there's a tube running vertically through the rock along a narrow chimney), the juice flowed down into this large vat for débourbage, to have the thick lees settle in the bottom. Didier Barrouillet says that débourbage is very important including in an organicly-farmed estate because there are always micro copper residuesr on the grapes skin, which has a negative impact on the yeasts. Through this cold-settling process, the copper goes down with the thick lees and will not stay in the juice, which will make the fermentations much easier. Long time ago, he made some analysis on copper levels in the juice before and after the cold settling and the results were obvious. And copper, he adds, is also bad for the aroma of the wines, particularly for the Sauvignon wines. Speaking of SO2, he didn't add any during the fermentation or even before, he just put 1,5 gr/hectoliter when he blended the finished wine in the stainless-steel vat (pic on top). He doesn't know yet if he will add more SO2 later. In general, he doesn't favor putting SO2 just before bottling because it yields some reduction notes in the wines. If he needed to add some SO2 now, depending if there remains a bit of free SO2 or not, he would do it now and wait a month to bottle the wine. If the data says that there is between 5 and 10 milligram of SO2 per liter now, he won't add any more SO2. A wine can make it without any SO2 if the alcohol level is high and if the acidity is accordingly high. These two factors have to go on pair, with a Ph like 3.6 for example and an alcohol level like 12,5° or 13°. There something he is careful about, it's to avoid the oxydative notes in the wine. He doesn't like having a wine veering oxydative and to avoid that he uses dry ice (carbon dioxide in solid form) that he spreads over the grapes at harvest. First, he doesn't use harvest boxes anymore, the grapes are poured directly from the buckets to the gondola and spread over with small ice sticks a a temp of minus-70°C. He alternates layers of grapes and layers of carbon dioxide in the gondola and it protects the grapes, this stays as is, cool and protected, during 24 to 48 hours (the gondola having been tight-closed), making some sort of carbonic maceration, sort of, which has also the benefit of easing the malolactic fermentation. There's an enzyme reaction that takes place then inside the grapes, with a bit of malic acid which instead of morphing into lactic acid, turns into tri-alcohol. Thanks to this, there's about 10% of malic acid that doesnt transform into another acid, and it helps the future malolactic fermentation to proceed smoothly and without hurdles. That's why he has been doing this for a few years. This gondola maceration takes place outside above the hill near the tin-roofed barn that you can guess on the picture at the top-left. Didier Barrouillet now walks to a small wooden tronconic vat (a Grenier) to fill glasses. __ Clos Roche Blanche Sauvignon N°5 2009. He says that the wine is not finished yet, with still 3 gr of residual sugar. the volume here is only 13 hectoliters, not much. On the nose I feel citrus, also pineapple maybe. Also 100 % nature at this stage, including regarding SO2. The malo ferm is completed but there is still some sugar left. There is a light perly feel, there is some gas on the tongue. I feel something else that I can't name, he says it may be the light vanilla notes of the wood. The grapes don't come from a particular plot, this is the same vineyard than the #2, it's just a selection of grapes. The vinification, fermentation and élevage takes place in the same vat. He bought the Grenier tronconic vat new, this is its second wine. He doesn't like to buy used tronconic vats because when doing that you bring yeasts and bacteria from elsewhere which he doesn't favor. The #5 will be bottled in august before the harvest. It's a long-keep wine and should get better by 4-5 years. But he adds that a good wine is a wine which is good all the time, as a juice, as a young wine and later on, even if it evolves with time. Balance is the key. the reaction of wine during the aging process is an esterification : acid plus alcohol translate into ester (aromatic components) plus water, the more a wine will age the less alcohol it will have and same for acidity. A moderate oxydation through the cork or through the wood helps this process to unfold. Costs about 7,5 at the estate. As we were tasting the wines and speaking, the dog came to us and particularly to me. Didier said that they were impatient to eat, they were maybe sort of trying to tell me : our owner doesn't give us our food, maybe you will... We saw also one of the cats but I could get close to him of picture him, he is shy of strangers. Didier say that the cats kill roughly one thousand mice per year in the cellar and around the house, showing off most of their catches of course as they use to. __ Clos Roche Blanche Pineau d'Aunis Rosé 2009. Very light pink color, almost white. This is a direct press wine. He says that the pneumatic press is so smooth that he gets almost no color. He doesn't mind but he will maybe add a bucket of red to get it a bit more pink. The wine : Nice length, substance with beautiful glide in the mouth. Nice immediate pleasure already. You find also the white pepper side of the red version of this variety. The wine is not turbid, it was cleared with the cold. Costs 5,5 € at the estate, I won't even try to get some, as I guess it's already mostly sold out. The winet got a bit of SO2 after the fermentation, about 1,25 gr like for the Sauvignon. He says that he uses SO2, he is not against it. He doesn't add SO2 during the vinification because he doesn't believe into the selection of yeasts through SO2. During the vinification, there's only if the Ph is very high on the juice that he might use some, it allows to get the bacteria down. Otherwise, no SO2 when Ph is lower than 3,3. He thinks that when you get a minimum of equipment for the temperature control including cold, when you have a good hygiene in your handling of the grapes and the juice, you don't need much SO2, but he still use it to protect the wines against oxydation because he doesn't like these aromas. There has been no red Pineau d'Aunis this year (in 2010 maybe there will). 15 hectoliters of this wine (2000 bottles), they have a small surface of this variety. It's almost all already sold out. Like for their other wines, they try to satisfy all their buyers but Didier underlines the importance of loyalty, they'll give priority to their loyal customers. If you visit them (by appointment only) you may get a few bottles, they usuall keep bottles for individual amateurs too. They have 60 ares of this Pineau d'Aunis only but he loves this variety. This is quite easy to manage in the vineyard, no disease, he says, he doesn't even need to look after them. The vinification is a bit more tricky, the fermentation and the rest need more time, it's always longer, you never know why but it seems that it takes its time and has faces hurdles compared to the other varieties, be it vinified in pink or red. Other vignerons including in the Coteaux du Vendômois have the same problems. Didier tells me interesting information on the vineyard surfaces in the region : there is about 150 hectares of Pineau d'Aunis in Touraine. Even in the Coteaux du Vendomois area where this variety enjoys a comeback status, the surface is only 85 hectares altogether. Speaking of the overall vineyard surface in Touraine, it's about 7000 hectares today when 30 years ago there were 25 000 hectares. There were lots of table wine then, hybrid varieties too and the region was known (people don't often know that) as a Negoce area 60 or 70 years ago, where wines from Algeria and local wines from Touraine were blended. Algeria wines didn't have enough acidity and Touraine wines had too much of it. Saint Aignan had important Négoce houses then, Amboise too. This blending of wines from the south with wines from the north reminds me this handwritten school work (dating from 1915) that I found in a village fleamarket (go to the 3rd paragraph). __ Clos Roche Blanche Gamay 2009. Relatively dark, this is the vintage with the low yields and the weather. Very nice nose, a pleasure. Cherry, cooked morello cherries, clafoutis. Pepper notes, some tannins (but the wine is cold and they come forward) but still velvety. Really a nice wine to swallow. Low volume here again : 30 hectoliters, they have only one hectare of Gamay since Noella Morantin rents the rest (they had 5 hectares in all). This Gamay was destemmed by 3/4 with 1/4 of whole clusters on the top in the vat to let a small carbonic maceration occur, this was made above outside. I ask about rationing ? 4000 bottles only, and they didn't really increase their prices substantially (I won't cry about it but I'm worried about the availability). It will be bottled later in march. It's priced something like 5,5 € for individual buyers at the estate but he laughs as I ask, adding that Catherine is in charge with dispatching the bottles to the customers. It's obviously mostly already sold out but I have some hopes of securing a case. If you see some passing wherever you are, don't miss the chance, it's a steal. __ Clos Roche Blanche Cabernet 2009. Taken from a tronconic wooden vat. This will wait more before being bottled, till end of june or july maybe. Cabernet Franc with 25% Cabernet Sauvignon. It's an individual vineyard plot (28-year old vines) located at La Tésnière on a clay/limestone soil with a northern orientation but with sun all day because there are no trees in the vicinity. 25 hectoliter of this wine. Nice fruity nose with some flowers maybe. Raspberry jam also. Very refined. He doesn't know the exact price for individual buyers but it may be something like 6,5 € he says. The tannins are already round, it tastes already very well. The grapes macerated in stainless-steel vats during 10 days above in the metal building among the trees before. For the maceration stage, he puts the temp at 28°C the first day then back at 22-25°C (depending of the year). After the pressing, it goes down to the cellar by gravity, in the vertical stainless-steel vats to finish the fermentations. Then, it's the élevage stage in these Grenier wooden tronconic vats. The wine got 2 gr of SO2 at the end of the fermentation because the Ph was relatively high. There's no shortage on this batch, so I should be able to get some too, as long as I don't miss the time they release the bottles. Asked about this 2009 vintage, he says that the grapes are anyway never the same year after year. 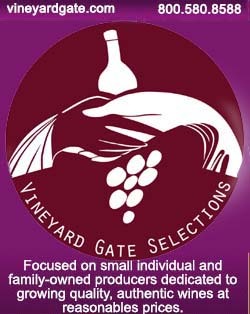 His work is to accompany the grapes and the job changes with the vintage. Some years, it's easy not to extract too much the substance because the substance is at easy reach (this is the case in 2009) while on other years there's less substance and color and there's a little more work like pumping over, maceration or whatever is suited for the vintage. No need to say that outside of what is often a single SO2 addition, there is no additives use here, no selected lab-yeasts, no enzymes, no nutrients, no powdered tannins or any other biotech shortcut trick. Every year is a different story, he says, and that asks for a constant follow up of the grapes. The alcohol here is very moderate, like for the Gamay and the Pineau d'Aunis rosé : 12,5°. __ Clos Roche Blanche Côt 2009. Even darker thar the other reds of course. They still have a nice surface of Côt, including the 100-year Côt vines, I add__he corrects__ : 115 years, laughing and adding that they've been saying 100-year Côt for years but time passes and for the maths' sake, it's now more 115 than 100 years... There is 30 hectoliter of Côt this year, the yields were maybe about 15 hectoliter/hectare this year. There are tannins, but that's a Côt and they taste well. Nice glycerol legs on the glass, a nice promising Côt. I feel aromas but have hard time putting a name on them. This is small black fruits with ripeness, very nice anyway. This wine will be bottled toward the end of august. He says that with its high natural acidity this wine has a very good ageing potential. He considers that 10 years is a good ageing span to enjoy it best. This Côt costs maybe 8 € at the estate. Didier Barrouillet says that he used to have a lot of casks in this cellar in the past, about a hundred of them. He opted to use larger-volume wooden vats instead, like these tronconic vats, because he considers that wood must be less forward, especially for the wines of the region where the wine/wood balance is not right. Plus, there are some 50 exogen molecules in new wood (in used casks it goes down rapidly to about 10), and the oak's polyphenols are not the same as the grapes' ones, and when you try to make an authentic wine it's better not to bring too much of these external influences. That's why he changed his containers gradually. He considers that the stainless-steel vats are the most friendly ones to the rendering of the wine character. Even if deemed traditional, the wood has an aromatic side that he wants to stay in the back seat. Clos Roche Blanche19 route de Montrichard41110 Mareuil sur Cherphone +33 2 54 75 17 03 fax +33 2 54 75 17 02 Interesting document (Pdf) that I stumbled on recently : List of organic producers of the Loire (farms, wineries, shops & markets). Thank you, Bernard that was a great visit. Wondering why they rent out so much of their vineyards? do they have a problem selling more? or don't they want to produce more? or not enough space in the cellars? No, they sell quite well and I think that they even had recurrent shortages before they scaled down. It's just that they want to begin to cool down, enjoy life, prepare retirement; scaling down makes a big difference for the work in the vineyatd which is important when organic farming. In these conditions I would worry about sharp price rises but they didn't seem to think this way, the hike will be cosmetic in 2010. But you better grab cases when they pass by. The cellars are big, I always think that I'll loose ly way if I'm left alone in these galleries (I'll always find my way to the vats if it ever happens, be sure...). It is simply I think that retirement is beckoning.